Hello Friends. I'm Photoshop Geek. I shall be providing Photoshop Tutorials to you from now on. 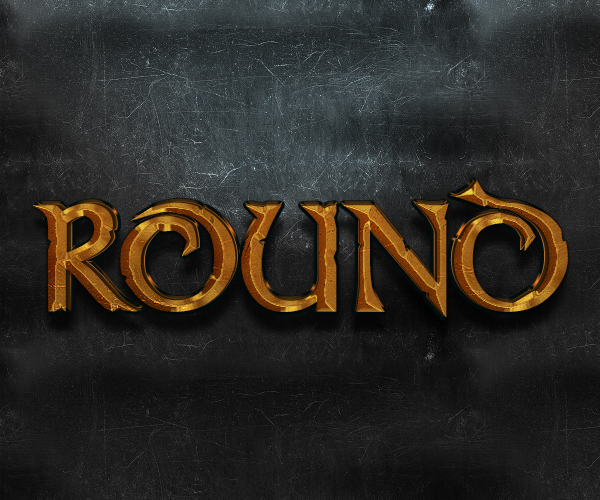 This is my first Tutorial on this site and In this tutorial, you'll learn how to create a bronze beveled text effect using layer styles in Adobe Photoshop. Let's get started! 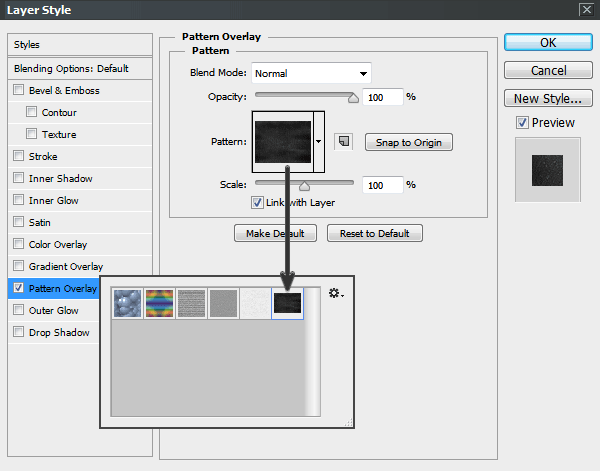 Install the pattern file named black_background.pat by double clicking it. Now we are going to add the texture using a Layer Style. Keep in mind that we are going to use Layer Style a lot, so try to remember how to reach the menu. Go to Layer > Layer Style > Pattern Overlay, select ' black_background.pat ' from the list, set the Scale value to 50%, and press OK. 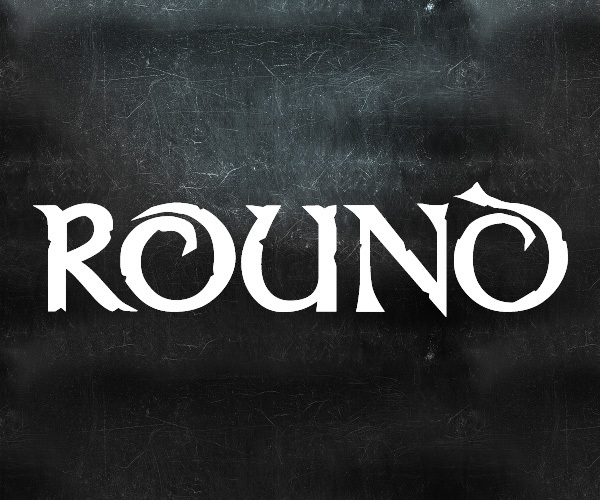 Type the word Round or a text of your choice using Stonecross font. Set the Font Size to 132 pt and Tracking to 20 pt. For best quality, change the anti-aliasing mode to Sharp. 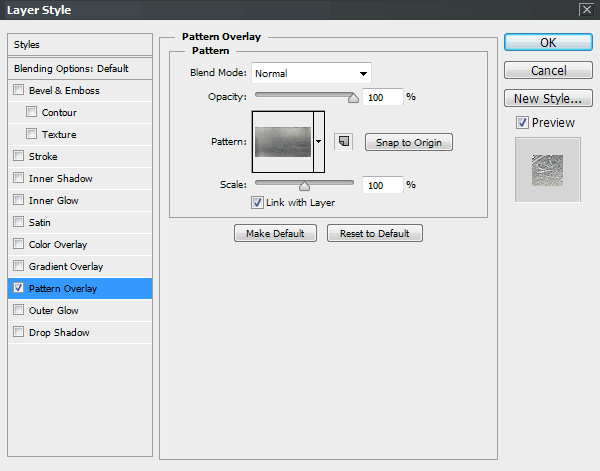 Rename the layer A01. Using the Move Tool, select the text and background layer, and then click Align Horizontal Center and Align Vertical Center on the top menu to center it. 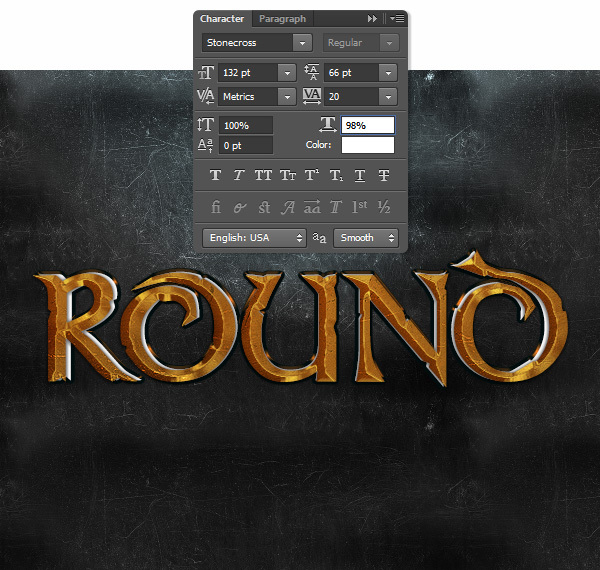 Duplicate the text and rename the new layer A02, as shown below. 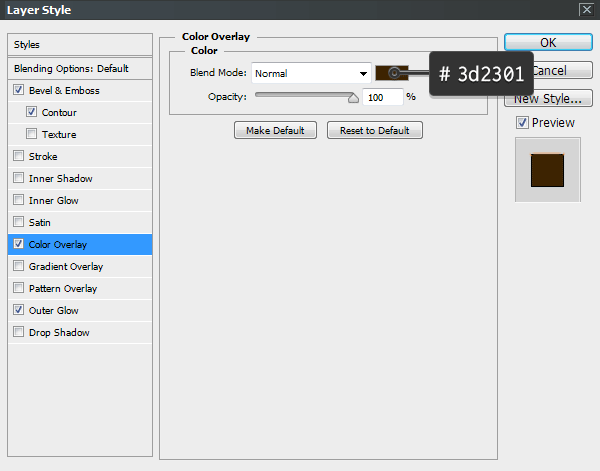 Hide the A02layer to work more comfortably, because we are not going to use this layer until part 4 of this tutorial. Install the .pat file named scratched_metal.pat. We are going to work on the A01 layer. 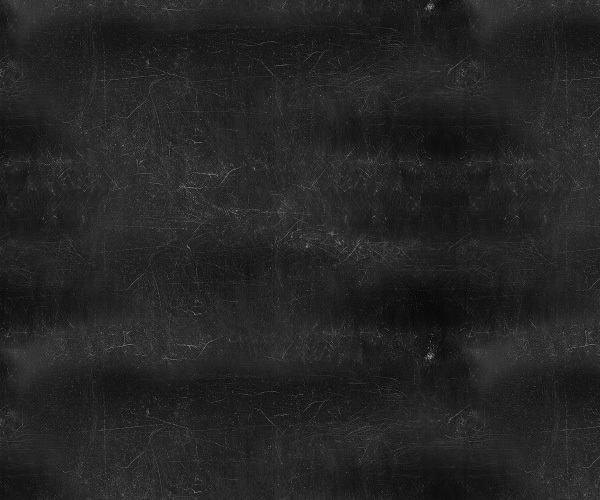 Go to Layer Style > Pattern Overlay, click on the Pattern box and choose scratched_metal.pat from the list. 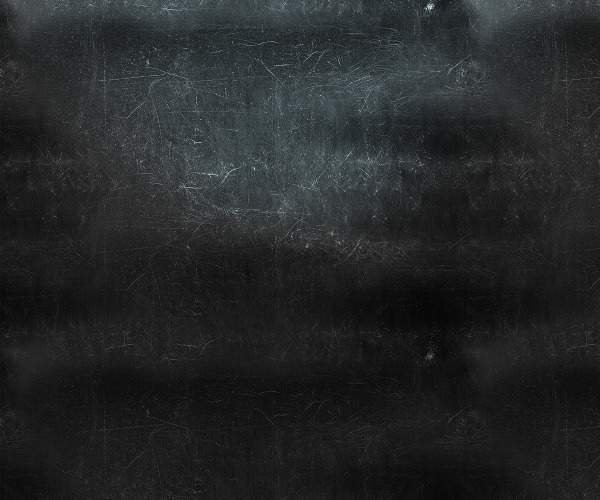 This texture will work as a base to the metal effect. 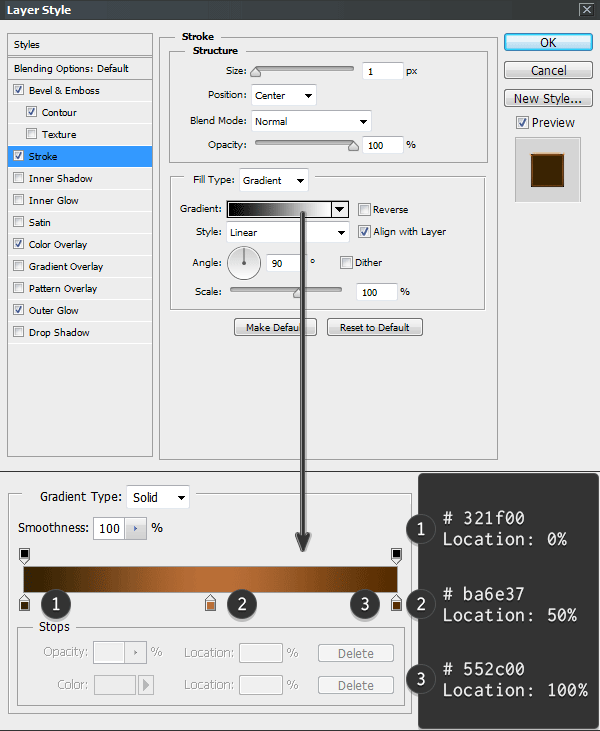 To achieve a realistic bronze color, go to Layer Style > Color Overlay. 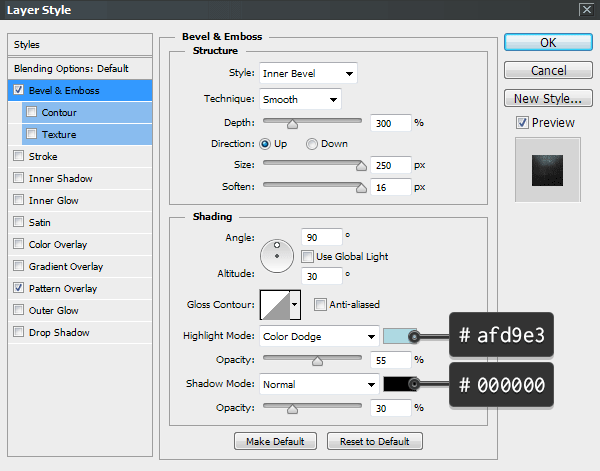 Change theBlend Mode to Multiply and set the following values. 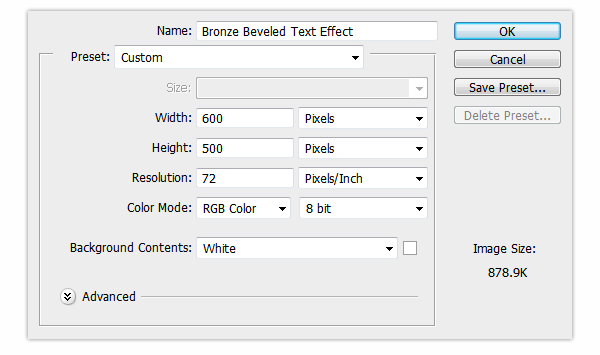 In the Layer Style window, modify the settings of Bevel & Emboss and Contour as shown below. 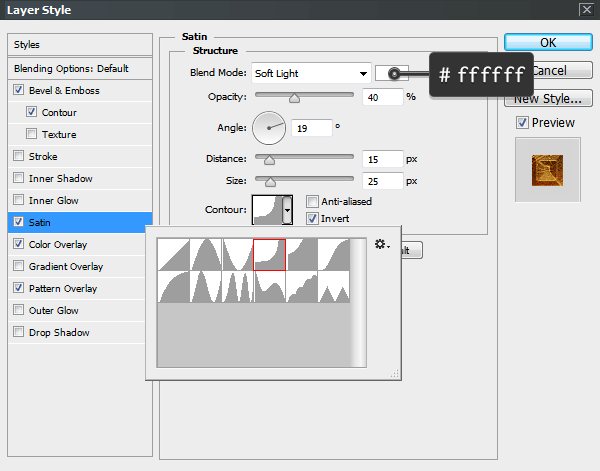 You’ll need to create two custom contour curves to get the volume effect. 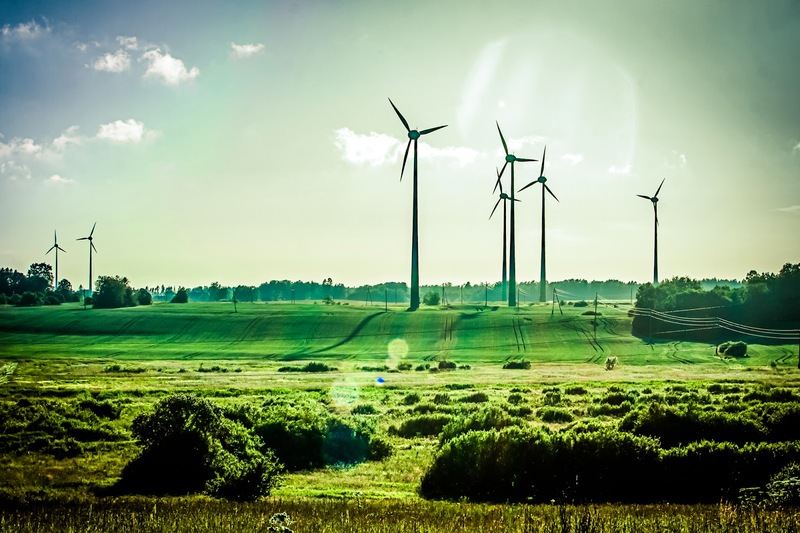 Follow the images carefully and use the values shown in the right column. We need to add some shadows to separate the text from the background. Go toLayer Style > Outer Glow and use the values shown below. We’re going to work with the A02 layer, so make sure you turn it on! 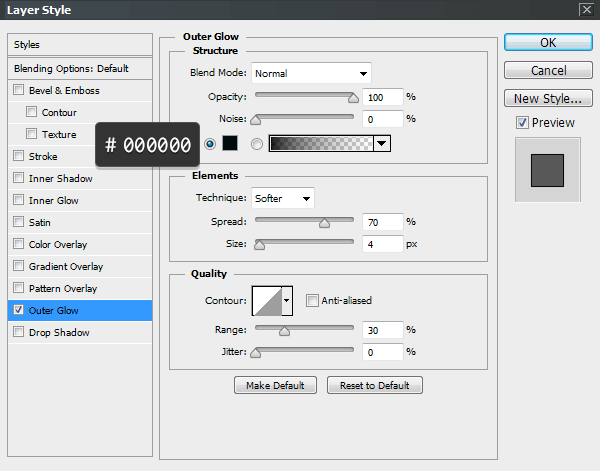 Go to Layer Style > Outer Glow and use the settings shown in the image below. To start improving the 3D look, we are going to accentuate the lights and shadows on the edges. 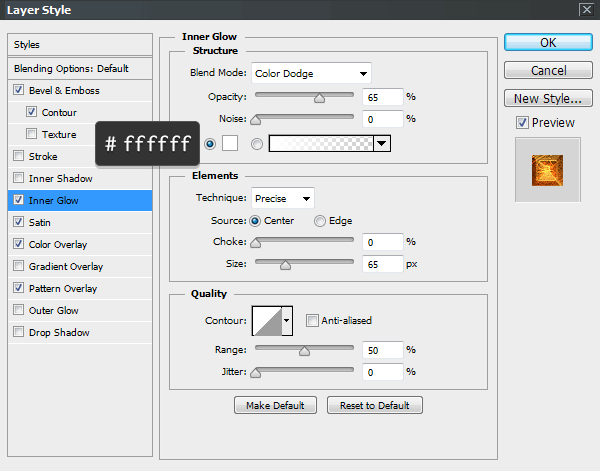 Go to Layer Style > Bevel & Emboss and use the following settings. Create a custom contour with the values shown in the right column. This is an important step. We have to achieve a perspective with a central vanishing point. Go to the Character window and change Horizontally Scale to 98% as shown below. To match the color of both text layers, go to Layer Style > Color Overlay and use the following values. Select Stroke from the Layer Style window, set Fill Type as Gradient and use the values shown below to brighten up the edges. Tip: To create a new point in the gradient you have to click under the gradient bar. Clicking each one of the color stops allows you to modify Location and Color. In this final step we are going to add some depth to make the text stand out. 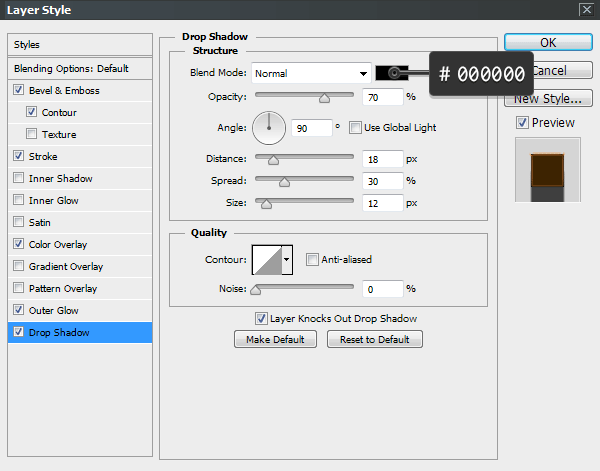 Modify Drop Shadow using the following settings. 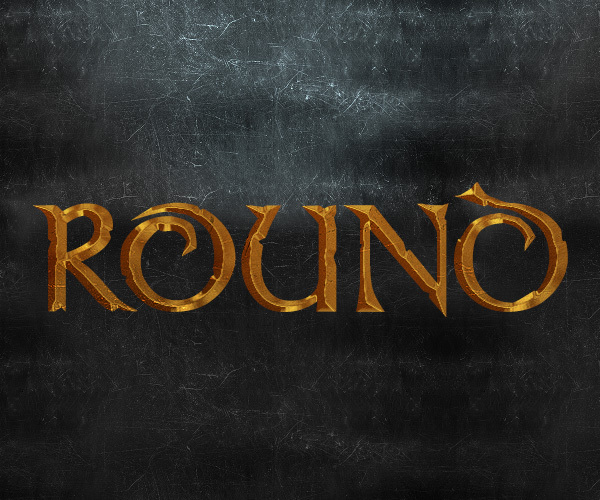 In this tutorial I showed you how to create a metallic background and a bronze beveled text effect using layer styles. I hope that you enjoyed this tutorial and can use what you’ve learned for your own projects. 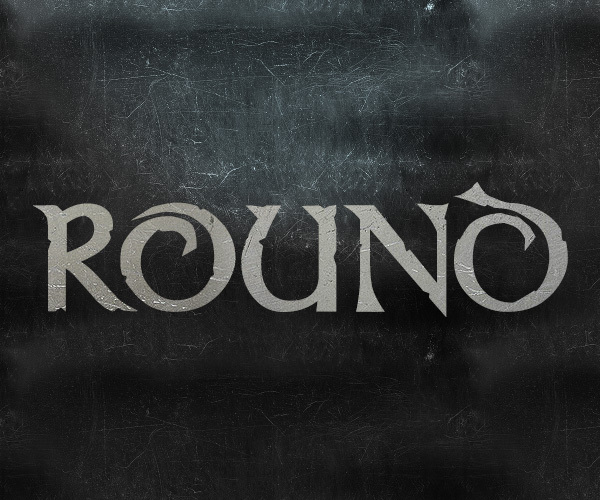 If you are facing any difficulty, feel free to comment.